**Automatic* *36 MPG* *Power Equipment* *1 Owner, Local Trade* *2014 KBB.com 10 Coolest New Cars Under $18,000** 30 DAY/3000 MILE WARRANTY! FREE CAR WASHES FOR LIFE AND 1 FREE OIL CHANGE WITH ANY PURCHASE! All of our vehicles are marked with our Spitzer Value Price meaning that we have already done the research for you and have provided our absolute best price upfront on every vehicle! We are only 1 hour from Cleveland and Columbus and offer free airport pickup!!! **AWD* *1 Owner, Local Trade* *30 MPG* *Bluetooth* *2012 KBB.com Total Cost of Ownership Awards** 30 DAY/3000 MILE WARRANTY! FREE CAR WASHES FOR LIFE AND 1 FREE OIL CHANGE WITH ANY PURCHASE! All of our vehicles are marked with our Spitzer Value Price meaning that we have already done the research for you and have provided our absolute best price upfront on every vehicle! We are only 1 hour from Cleveland and Columbus and offer free airport pickup!!! **35 MPG* *Bluetooth* *Local Trade* *2012 IIHS Top Safety Pick** 30 DAY/3000 MILE WARRANTY! FREE CAR WASHES FOR LIFE AND 1 FREE OIL CHANGE WITH ANY PURCHASE! All of our vehicles are marked with our Spitzer Value Price meaning that we have already done the research for you and have provided our absolute best price upfront on every vehicle! We are only 1 hour from Cleveland and Columbus and offer free airport pickup!!! **36 MPG* *New Tires & Brakes* *Bluetooth* *Local Trade* *2014 IIHS Top Safety Pick+** 30 DAY/3000 MILE WARRANTY! FREE CAR WASHES FOR LIFE AND 1 FREE OIL CHANGE WITH ANY PURCHASE! All of our vehicles are marked with our Spitzer Value Price meaning that we have already done the research for you and have provided our absolute best price upfront on every vehicle! We are only 1 hour from Cleveland and Columbus and offer free airport pickup!!! **Automatic* *36 MPG* *Remainder of 5yr/60k Warranty** FREE CAR WASHES FOR LIFE AND 1 FREE OIL CHANGE WITH ANY PURCHASE! All of our vehicles are marked with our Spitzer Value Price meaning that we have already done the research for you and have provided our absolute best price upfront on every vehicle! We are only 1 hour from Cleveland and Columbus and offer free airport pickup!!! **32 MPG* *Power Seat* *Backup Camera* *New Tires & Brakes* *Local Trade* *2013 IIHS Top Safety Pick** 30 DAY/3000 MILE WARRANTY! FREE CAR WASHES FOR LIFE AND 1 FREE OIL CHANGE WITH ANY PURCHASE! All of our vehicles are marked with our Spitzer Value Price meaning that we have already done the research for you and have provided our absolute best price upfront on every vehicle! We are only 1 hour from Cleveland and Columbus and offer free airport pickup!!! **Automatic* *31 MPG* *1 Owner, Local Trade* *Bluetooth* *2015 KBB.com 15 Best Family Cars* *Remainder of 5yr/60k Warranty** FREE CAR WASHES FOR LIFE AND 1 FREE OIL CHANGE WITH ANY PURCHASE! All of our vehicles are marked with our Spitzer Value Price meaning that we have already done the research for you and have provided our absolute best price upfront on every vehicle! We are only 1 hour from Cleveland and Columbus and offer free airport pickup!!! **1 Owner, Local Trade* *34 MPG* *Bluetooth* *Remainder of 5yr/60k Warranty* *2015 IIHS Top Safety Pick** FREE CAR WASHES FOR LIFE AND 1 FREE OIL CHANGE WITH ANY PURCHASE! All of our vehicles are marked with our Spitzer Value Price meaning that we have already done the research for you and have provided our absolute best price upfront on every vehicle! We are only 1 hour from Cleveland and Columbus and offer free airport pickup!!! **6 Speed Manual* *1 Owner* *Bluetooth* *30 MPG* *2016 IIHS Top Safety Pick* *Remainder of 5yr/60k Warranty** FREE CAR WASHES FOR LIFE AND 1 FREE OIL CHANGE WITH ANY PURCHASE! All of our vehicles are marked with our Spitzer Value Price meaning that we have already done the research for you and have provided our absolute best price upfront on every vehicle! We are only 1 hour from Cleveland and Columbus and offer free airport pickup!!! **Automatic* *37 MPG* *1 Owner, Local Trade* *Backup Camera* *Bluetooth* *Remainder of 5yr/60k Warranty** FREE CAR WASHES FOR LIFE AND 1 FREE OIL CHANGE WITH ANY PURCHASE! All of our vehicles are marked with our Spitzer Value Price meaning that we have already done the research for you and have provided our absolute best price upfront on every vehicle! We are only 1 hour from Cleveland and Columbus and offer free airport pickup!!! **Automatic* *30 MPG* 1 Owner, Local Trade* *Bluetooth* *2016 IIHS Top Safety Pick* *Remainder of 5yr/60k Warranty** FREE CAR WASHES FOR LIFE AND 1 FREE OIL CHANGE WITH ANY PURCHASE! All of our vehicles are marked with our Spitzer Value Price meaning that we have already done the research for you and have provided our absolute best price upfront on every vehicle! We are only 1 hour from Cleveland and Columbus and offer free airport pickup!!! **Kia Certified* *Automatic* *Backup Camera* *Android Auto & Apple CarPlay* *37 MPG** *Kia Certified Pre-Owned means you not only get the reassurance of a 12Mo/12,000Mile Platinum Limited Warranty, but also up to a 10-Year/100,000-Mile Powertrain Limited Warranty, a 164-point inspection/reconditioning, 24/7 roadside assistance, rental car benefits, and a complete CARFAX vehicle history report. FREE CAR WASHES FOR LIFE AND 1 FREE OIL CHANGE WITH ANY PURCHASE! All of our vehicles are marked with our Spitzer Value Price meaning that we have already done the research for you and have provided our absolute best price upfront on every vehicle! We are only 1 hour from Cleveland and Columbus and offer free airport pickup!! **AWD* *3.5L V6* *Local Trade** 30 DAY/3000 MILE WARRANTY! FREE CAR WASHES FOR LIFE AND 1 FREE OIL CHANGE WITH ANY PURCHASE! All of our vehicles are marked with our Spitzer Value Price meaning that we have already done the research for you and have provided our absolute best price upfront on every vehicle! We are only 1 hour from Cleveland and Columbus and offer free airport pickup!!! **AWD* *Backup Camera* *1 Owner, Local Trade* *26 MPG* *Remainder of 5yr/60k Warranty* *2014 KBB.com 10 Best All-Wheel-Drive Cars & SUVs Under $25,000** 30 DAY/3000 MILE WARRANTY! FREE CAR WASHES FOR LIFE AND 1 FREE OIL CHANGE WITH ANY PURCHASE! All of our vehicles are marked with our Spitzer Value Price meaning that we have already done the research for you and have provided our absolute best price upfront on every vehicle! We are only 1 hour from Cleveland and Columbus and offer free airport pickup!!! **1 Owner* *Automatic* *31 MPG* *Remote Start* *Backup Camera* *Bluetooth* *Remainder of 5yr/60k Powertrain Warranty* *2016 KBB.com 10 Most Fun SUVs** 30 DAY/3000 MILE WARRANTY! FREE CAR WASHES FOR LIFE AND 1 FREE OIL CHANGE WITH ANY PURCHASE! All of our vehicles are marked with our Spitzer Value Price meaning that we have already done the research for you and have provided our absolute best price upfront on every vehicle! We are only 1 hour from Cleveland and Columbus and offer free airport pickup!!! **1 Owner* *37 MPG* *Backup Camera* *Power Seat* *Bluetooth* *Remainder of 5yr/60k Powertrain & 3yr/36k Warranty* *2016 IIHS Top Safety Pick+* *2016 KBB.com 10 Best Sedans Under $25,000** FREE CAR WASHES FOR LIFE AND 1 FREE OIL CHANGE WITH ANY PURCHASE! All of our vehicles are marked with our Spitzer Value Price meaning that we have already done the research for you and have provided our absolute best price upfront on every vehicle! We are only 1 hour from Cleveland and Columbus and offer free airport pickup!!! **Heated Leather* *Backup Camera* *Power Seat* *Local Trade* *27 MPG** 30 DAY/3000 MILE WARRANTY! FREE CAR WASHES FOR LIFE AND 1 FREE OIL CHANGE WITH ANY PURCHASE! All of our vehicles are marked with our Spitzer Value Price meaning that we have already done the research for you and have provided our absolute best price upfront on every vehicle! We are only 1 hour from Cleveland and Columbus and offer free airport pickup!!! **4x4* *Batman v Superman Edition* *Heated Seats & Steering Wheel* *Power Seat* *Remote Start* *29 MPG* *Remainder of 5yr/60k Powertrain Warranty* *2016 KBB.com 10 Most Fun SUVs** 30 DAY/3000 MILE WARRANTY! FREE CAR WASHES FOR LIFE AND 1 FREE OIL CHANGE WITH ANY PURCHASE! All of our vehicles are marked with our Spitzer Value Price meaning that we have already done the research for you and have provided our absolute best price upfront on every vehicle! We are only 1 hour from Cleveland and Columbus and offer free airport pickup!!! **Kia Certified* *30 MPG* *Backup Camera* *Bluetooth** Kia Certified Pre-Owned means you not only get the reassurance of a 12Mo/12,000Mile Platinum Limited Warranty, but also up to a 10-Year/100,000-Mile Powertrain Limited Warranty, a 164-point inspection/reconditioning, 24/7 roadside assistance, rental car benefits, and a complete CARFAX vehicle history report. FREE CAR WASHES FOR LIFE AND 1 FREE OIL CHANGE WITH ANY PURCHASE! All of our vehicles are marked with our Spitzer Value Price meaning that we have already done the research for you and have provided our absolute best price upfront on every vehicle! We are only 1 hour from Cleveland and Columbus and offer free airport pickup!! 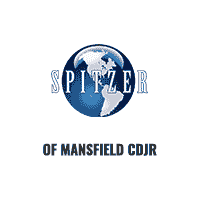 To browse an excellent selection of used cars in the Mansfield area, Spitzer Motors of Mansfield Chrysler Dodge Jeep Ram will be your best choice for finding the used car you have been looking for. We offer a variety of used Chrysler, Dodge, Jeep and Ram cars and trucks, along with other top makes. Check out our current used inventory, or call us with any questions about the cars we have in stock. We are always getting more used cars at our dealership near Mansfield, so make sure you ask us about any unique new arrivals. When you’re ready to take a test drive, come and pay us a visit: We are a trusted used car dealership that gladly serves Ashland, Wooster, Marion, and beyond. We look forward to helping you find your perfect vehicle. Use the sidebar below to browse our used vehicle inventory by make, model, and mileage. Don’t see what you’re looking for? Give our team a call. Saving you money is our top priority at Spitzer Motors Mansfield. Browse the pre-owned vehicle specials in our Ontario, OH used car inventory, or check out all our budget saving car deals priced at under $12,500. You’ll also find fantastic savings on a new car from Spitzer Motors Mansfield when you take a look at our new car specials. Call us today if you have any questions about our vehicle specials! When it’s time for service or repairs, bring your car into the automotive service center at Spitzer Motors Mansfield. The service technicians at our Ontario, OH auto shop can handle everything from oil changes and tire rotations to complete engine overhauls. Schedule service online or give us a call today to make your appointment.